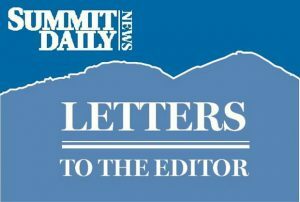 Editor’s note: The Summit Daily News received two letters in support for Doug Roessell. One letter writer, however, did not include his last name. We did not receive any letters in support of Roessell’s opponent Kevin Burns. We did, however, receive a letter from Burns himself, which is published below. When I served with Doug on the town council for several years during the last decade, I found him to be always well prepared, collaborative, honest, open to input from all points of view, and eager to follow the principles of respectful political decorum. He now feels compelled to step forward again in hopes that new leadership might change the four flat tires on the town’s poorly driven vehicle. I need not recite here the town troubles that your newspaper has so well exposed to the public in recent articles. Even the council members had to eat crow recently. There is still a lot of dirt kicked under the carpet through severance packages and confidentiality “gag” clauses. I hope you get to the bottom of it. Doug, an award-winning body builder, has labored for 10 years or so equally as impressively building at least two successful businesses in downtown Dillon, Elevation Fitness and the Dillon Academy of Rock. He has volunteered in many capacities. He has the business acumen to understand budgets, to manage contracts, to motivate people, to learn new information. He will not be just a continuity of same old same old. He is the fresh air the town needs to blow away the stink, and the mechanic to get the Dillon vehicle underway again. My name is Kevin Burns and I am running for mayor of Dillon on April 1. Some of you may know me from the last two years I’ve spent on town council. Some of you may know may me from my time serving on the Dillon Parks and Recreation Advisory Committee or my participation in Leadership Summit. For those of you who I have not had the pleasure of meeting, please allow this letter to be a brief introduction. I am a 14-year resident of Dillon, and have a deep affection for the identity and spirit of Dillon. In my time on council, I have worked hard to protect this character and have pursued opportunities that will enhance the lives and experiences of those who call Dillon home. As a member of town council, I have supported projects like our Town Park Master Plan, which will update and redesign our beloved park, and our Community Chats that have increased the accessibility of government so that folks can come and talk about issues. I have lead on important issues to the town by hosting community forums on retail marijuana sales and working with homeowner associations and other entities to come up with mutually beneficial agreements around public parking, landscaping and other issues. During my time on Dillon Town Council, I have developed a philosophy of responsiveness and collaboration that I value as an elected official. It is that philosophy and energy that I will bring to Dillon as mayor.